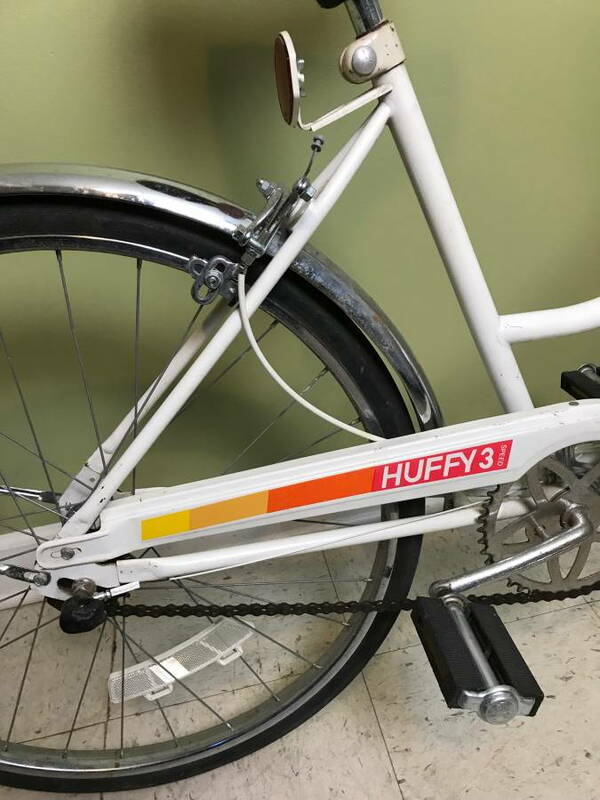 Does anyone have any additional information about this Huffy Rally 3 speed? It looks like it has a 3 speed Shimano hub and based on the logo I think it's from the 80s. 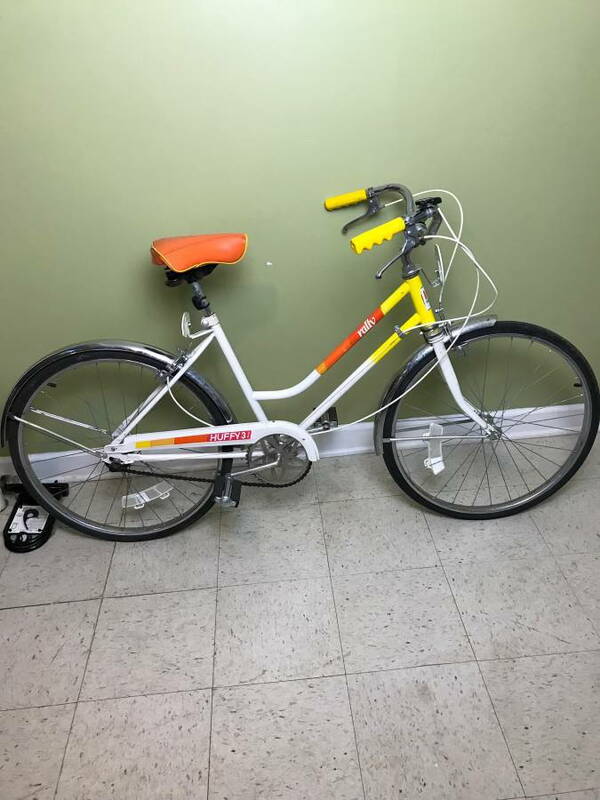 I can't find any additional info about this bike online. I know Huffys are a lower-end bike. I'm new to the site and to fixing up old bikes. This project would be for my partner; she'd ride it occasionally, short distances and slow speeds. Sorry I can't post any links/pictures since I just joined. Your bike looks like it is in good shape, and the welds look solid. But, it is a cheap bike. Worth somewhere around $100. You're probably right, late 80's??? Fairly new for the vintage Huffy bicycles. What is the tire size? It almost looks child sized. Which, of course, could be good or bad depending on the rider's size. It looks like the brake cables are going a bit wild. Tie wraps may help get them under control. Thanks for the response and for posting the pictures! They're from an ad on craigslist. The ad says the frame is 16.5 in and the tire size is 24 in. Rider is 5'4. Any idea what the frame is made of? Frame is steel. Almost everything on it is steel. Definitely a child's bike at 24. I'd get some good brake pads because those chrome steel wheels have almost no stopping power. The frame is probably the basic high tensile carbon steel made with straight tubes. Nothing fancy like chomoly nor any butting of the tubes. However, 95% of the vintage "Mixte" and "step through" style of girl's and women's bicycles have pretty basic frames. At 5'4", your partner is close to the cutoff where a person fits the kid's sizes better than the adult sizes. However, I'd tend to hunt for a smaller bike with 26" wheels or 700c wheels. Alternatively, there are some good small folding bicycles with 20" wheels. That fork really indicates 1970s to me. Thanks for the replies everyone. I'm going to hold off on this one and look for something with 26" wheels like CliffordK recommended. In my area that is a $30 CL or $15 yard sale bike. Sorry about that. 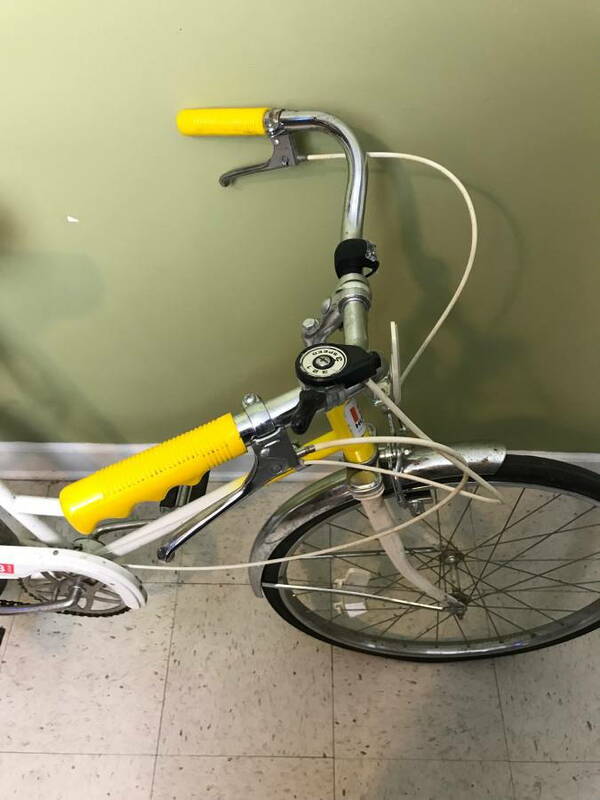 Bikes: Miyata 610(66cm), GT Vantara Hybrid (64cm), Nishiki International (64cm), Peugeot rat rod (62 cm), Trek 800 Burning Man helicopter bike, Bob Jackson frame (to be restored?) plus a never ending stream of neglected waifs from the Bike exchange. see if you can find a mixte frame bike. They usually have small frames and should fit your 5'4" friend. Also they are a classy ride. If you coming down to the SF bay area you could stop in at the Silicon Valley Bicycle Exchange( google us) on one of our work days and check out our bikes. I just finished re habbing a Peugeot and Univega mixte with lots of upgrades. for reasonable prices.